At the January 10 Board Meeting, the McMullin Area Groundwater Sustainability Agency (MAGSA) Board announced the appointment of Matt Hurley as MAGSA’s general manager. Hurley will lead MAGSA in the development, adoption, and implementation of a Groundwater Sustainability Plan for the sustainable management of groundwater within the MAGSA service area. As CEO of Water Management Professionals, Inc, Hurley has extensive SGMA knowledge and background having been heavily involved at the State and local levels with the development of the regulations and implementation of SGMA. He served on the Department of Water Resources SGMA Practitioner’s Advisory Panel and the Association of California Water Agencies SGMA Task Force. “I am grateful to the Board for putting their trust in me as the new general manager of MAGSA. I will bring all the energy and expertise I have to implement SGMA for the best possible outcome for the landowners and communities served by MAGSA,” stated Hurley. As a licensed attorney, Hurley is fully versed in water law, especially groundwater, in the State of California along with having broad experience in water resource and special district management. In addition to his role as General Manager of Angiola Water District, Deer Creek Storm Water District, and Green Valley Water District for the last ten years, Hurley organized and managed the Tri-County Water Authority GSA in the Tulare Lake Subbasin since 2016. 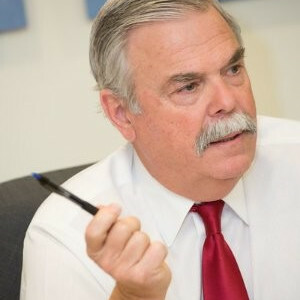 He also served as Board Chair for several local water agencies including the Fresno Slough Water District, Atwell Island Water District, and the Tri-County Water Authority GSA. “Groundwater availability is essential for businesses, farms, and residents to thrive in the McMullin Area. Hurley has the experience and knowledge to navigate MAGSA through the challenges of implementing the State’s new groundwater regulations while minimizing the impacts to our local economy,” stated MAGSA Board Chair Don Cameron. As a newly formed agency, MAGSA is responsible for developing and implementing a Groundwater Sustainability Plan (GSP) that will describe localized groundwater issues and identify appropriate solutions. The focus of the MAGSA Board is on local needs, local solutions, and local success. At the December 5 Board meeting, MAGSA technical consultant Owen Kubit, Water Resources Engineer at Provost & Pritchard, discussed water quality as it relates to SGMA and implementation within the McMullin Area. Water Quality is one of the six Sustainability Indicators. This indicator is concerned with the degradation of water quality. Minimum Threshold – the lowest result allowed in the worst-case scenario. Undesirable Result – a result defined by MAGSA and approved by DWR. An undesirable result occurs when conditions related to the sustainability indicator becomes significant and unreasonable. Measurable Objective – average maintained result over the long-term. Must be met by 2040. Each GSA will set its own results and objectives across the Sustainability Indicators using the methodology coordinated among the seven GSA’s in the Kings Subbasin. Water quality Sustainable Management Criteria in the McMullin Area include four classifications: municipal wells, agricultural wells, contaminant plumes, and rural residential wells. The proposal by MAGSA’s technical consultant is to collect data for five years and set the criteria in 2025 due to the lack of existing groundwater quality data. The Sustainable management criteria can be updated in the 5-year updates of the plan. As the MAGSA Board considers the best method for complying with SGMA’s water quality requirements, the objective is to have a cooperative approach to inform MAGSA’s management decisions to prevent degraded water quality, without unduly repeating regional monitoring efforts.